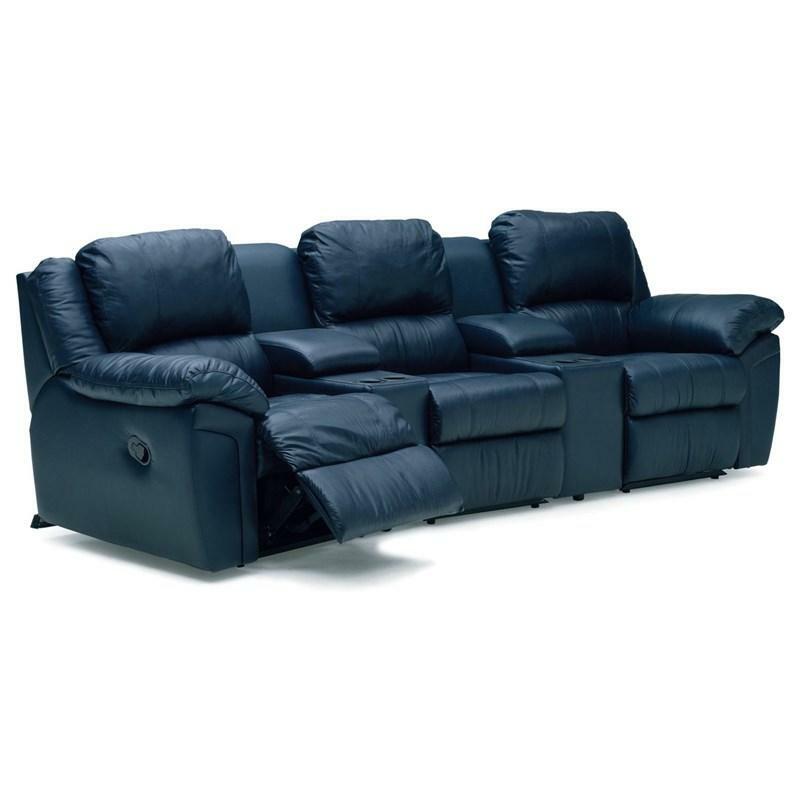 The Daley Collection from Palliser is a classic motion collection with a structured style. The commanding front arm defines the look and feel of this sofa, while padded wings emphasize the plush softness of the cushions. A lumbar bolster gently cradles the back, while the full chaise seating supports the body when in the reclined position. The Daley is tailored with top stitching that accents the lines of the style. A manuel handle lets you operate the reclining function and change angles with ease. The Daley sofa is the epitome of comfort and a plush addition to any interior space.